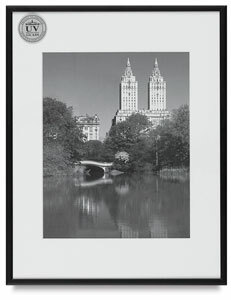 These archival, metal frames include an Artcare 4-ply frost white mat, Artcare 2-ply Mountboard, and UV glass. Artcare is the most effective system for protecting photographs and art from fading and discoloration. Studio Metal Frames are perfect for adding value to your next art show.